This page contains various ESP8266 resources related to the Internet of Things (IoT) device. ESP8266 Community Wiki – Has a lot of hardware information. ESP8266 Quick Start – A getting started page. ESP8266 Product Page – Manufacturer’s Product Page. 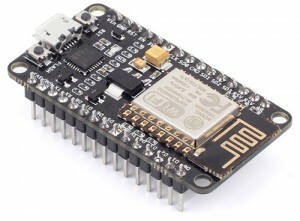 Espressif Forums – Manufacturer of the ESP8266. A lot of information and tools can be found here. LUA Manual – Lua reference manual. NodeMCU LUA Documentation – API Reference. NodeMCU – Main NodeMCU website. NodeMCU Firmware Wiki – Hosted on GitHub. Nurdspace – A lot of information about the hardware. ESPlorer – ESP8266 Basic Ide. ESPlorer GitHub Repository – ESPlorer main repository. Espressif GitHub Repositories – Various software resources from the ESP8266 manufacturer. Android, IOS and RTOS ESP8266 related softwares – GitHub repository. Espruino for ESP8266 – Main Espruino site. Lua Loader – Program for uploading files to the ESP8266. NodeMCU GitHub – GitHub repository of the NodeMCU. NodeMCU Flasher – 32 bits – Windows 32-bits version. NodeMCU Flasher – 64 bits – Windows 64-bits version. Various ESP8266 related projects – GitHub repository. Various ESP8266 related projects (HTTPD) – GitHub repository. ESP8266 – A forum that contains a lot of information about the ESP8266. Disclaimer: I do not endorse the above books in any way. They are listed only because they exists.